We at PHYSIO4ALL view Ergonomics holistically and provide effective solutions to pain resulting from a poor working environment. We come to you and assess your work station. We will make changes as necessary to prevent poor posture as you work, and may recommend products such as chairs or other equipment (note we do not sell these items ourselves). Soft/Deep tissue massage, cupping, mobilisation and manipulations (in some cases) are examples of how we treat neck and back pain, such as is evident in a poor workstation set-up. We can certainly just provide massage if requested, but often find we can help patients achieve long term pain relief by viewing their pain holistically. After a one-one session with a Physiotherapist, you can expect a home exercise program designed especially for your case. These often involve exercises and stretches to do throughout the day to ensure you stay comfortable and pain free. Many people are unaware of the power of the body to help itself. 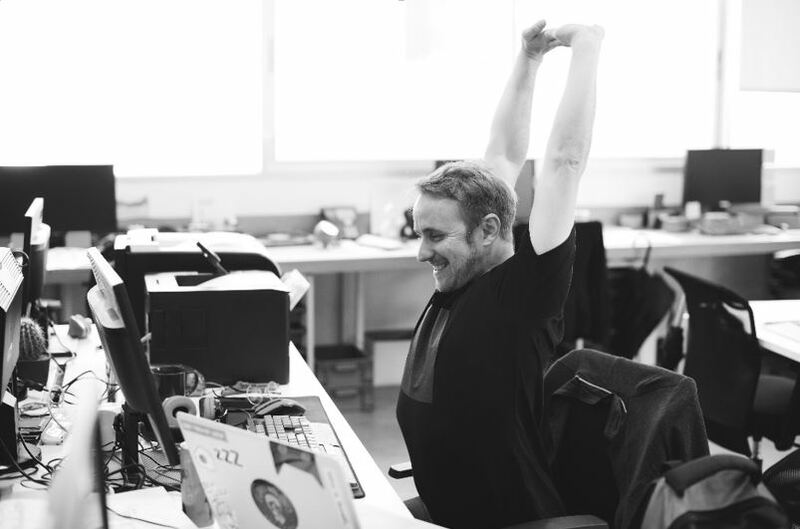 Lower back pain in a desk worker can often be attributed to a lack of core strength, and neck/upper back pain can be attributed to a lack of muscular strength around the spine, leading to poor posture. Our Group Physio Classes are affordable and convenient. We structure our 30-minute classes around the work day, keep the numbers small (6 people or fewer), and provide individualised programs. Classes are taken by Physiotherapists, who use the Pilates platform as well as other physio equipment to develop trunk stabilisation, core strength, improved flexibility, better posture and so much more. We often hear our clients comment that they “feel it” when they miss their class! 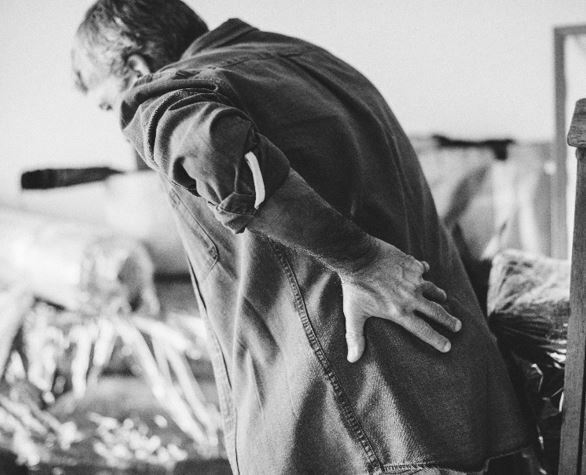 Pain as a result of sitting at a desk for long hours or overuse injuries can be easily and effectively managed – we at PHYSIO4ALL are extremely experienced in managing Ergonomics, and want you to find a long term, pain free solution. 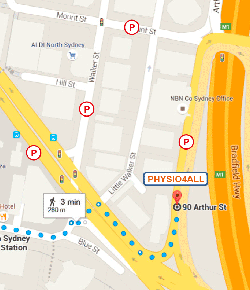 We can be contacted on 02 9922 2212, via [email protected], or our website www.physio4all.com.au. We look forward to hearing from you!